Hello everyone! It's time to get started on our muslins but to be honest, I haven't even cut mine out yet :( It was a spur of the moment thing, but I ended up getting tattooed last night, so that means that I wasn't productive sewing wise. I'm ready to write about sewing though! 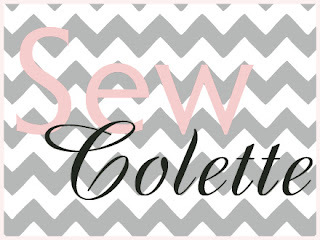 To those of you that didn't participate in the first part of the sew-along, please make sure you have your correct measurements before getting started. If you need help then see this post. 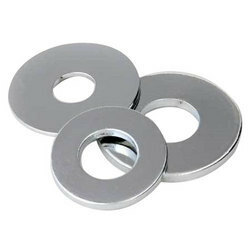 You can get washers at any hardware store. My husband got mine at Miner's (isn't he sweet?) for $0.50 each and he got the biggest ones he could find. I'm sure that you could use other things that are flat and heavy to keep the pattern in place, but I really like using the washers because they can easily be packed away in a little box and stored with my sewing stuff. Have any of you tried using Sarai's technique? What did you think? I'm almost finished with my Meringue, I'll post it to the flickr group. Yay for new ink. I'm hoping to get some work done while I'm back in the states later this year. What did you get, if you don't mind sharing? Thanks for sharing your modified washers! They look so cute in gold! I'm going to post a photo of the tattoo tomorrow :) What are you planning to get tattooed? Do you have a favorite artist/place to go in the US? I'm planning on getting my ribs done. I'm nervous though, as my only ink is on the back of my lower legs, so no t really a bony area. I have a high threshold for pain, so hopefully it won't be too bad. I haven't sewn a lick on my muslin either, hooray for the flu! As far as the cutting, I hated cutting too. 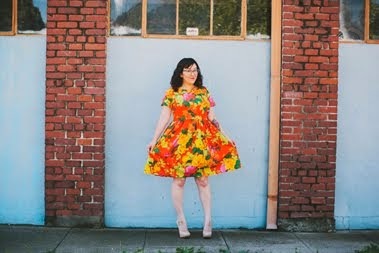 I haven't tried Sarai's cutting method since I don't use scissors to cut out my patterns! I opted for the rotary cutting method ages ago and have never looked back! I still use pattern weights instead of pinning though, I just don't trace onto the fabric. YESSSS!!!! I got a whole bunch of these right before Christmas and have been using them ever since, aren't they AWESOME??????????? Oh cool, what did you get?? I definitely need to get some washers!! I'm a fan of tracing, but I've been using my cell phone and other random objects to hold down my pattern as I do so haha! I just picked up some washers last weekend, and they are awesome! I honestly didn't think that they would work as well as they do. I am a total convert. i've been using candle holders (quite heavy) and coke cans, basically anything heavy and within arm's reach. but one of these days I'll get the washers. I hadn't thought of the advantage of their compact storing size--maybe I'll get to the hardware store sooner than later!! I was taught to pin the pattern to the fabric and cut, which works, but it can be shifty and time consuming. I'm much happier with the results of tracing. I sewed little bags out of a spare bit of fabric, little squarish rectangular ones. Pull them inside-out, fill them with about 3oz of uncooked rice, then topstitch around the edge to close them off and also to double-check that the rice can't easily fall out. I use washers! For Christmas, my dad made me ribbon covered ones too. He wrapped the ribbon around and kept it in place using a hot glue gun. I started using washers last year, and it's totally changed my sewing game. LOVE it! And to be honest, I love a trip to the hardware store anyway. Dork. I actually use some books as weights as well as little heavy balls. Books are fantastic for the larger pieces, as nothing under them will move, as well has they take up loads of the pattern space so you don't need so many little weights. It really puts my Dostoevskys and Tolstoys to use!